"Vile and wicked." Cinestate has debuted the first official trailer for Puppet Master: The Littlest Reich, an updated reboot of the Puppetmaster horror film. 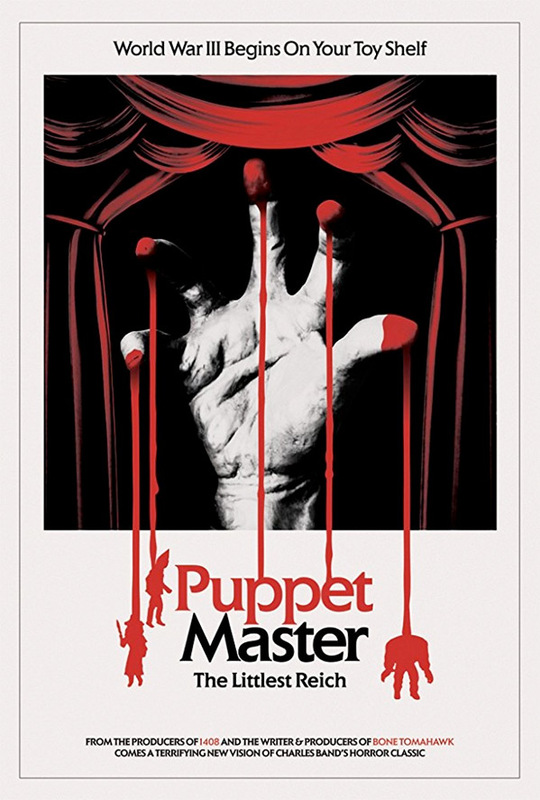 The original Puppetmaster was released in 1989, about crazy animated, murderous puppets. This new film features a screenplay written by S. Craig Zahler (director of Bone Tomahawk and Brawl in Cell Block 99), along with some crazy new puppets, including a ringleader known as the "Littlest Reich". All hell breaks loose when a strange force animates the puppets up for auction at a convention, setting them on a bloody killing spree that's motivated by an evil as old as time. The film stars Michael Paré, Thomas Lennon, Charlyne Yi, Udo Kier, Nelson Franklin, Matthias Hues, Jenny Pellicer, and Barbara Crampton. This does look totally weird and violent and crazy, so have fun. Recently divorced and reeling, Edgar returns to his childhood home to regroup his life. When Edgar finds a nefarious looking puppet in his deceased brother's room, he decides to sell the doll for some quick cash. Girl-next-door Ashley and and comic book pal Markowitz join Edgar for a doomed road trip to an auction at a convention celebrating the 30th Anniversary of the infamous Toulon Murders. All hell breaks loose when a strange force animates the puppets at the convention, setting them on a bloody killing spree that's motivated by an evil as old as time. Puppet Master: The Littlest Reich is co-directed by filmmakers Sonny Laguna & Tommy Wiklund, both of the films Blood Runs Cold, Wither, and Animalistic previously. The screenplay is written by S. Craig Zahler, based on the original film Puppetmaster from 1989. 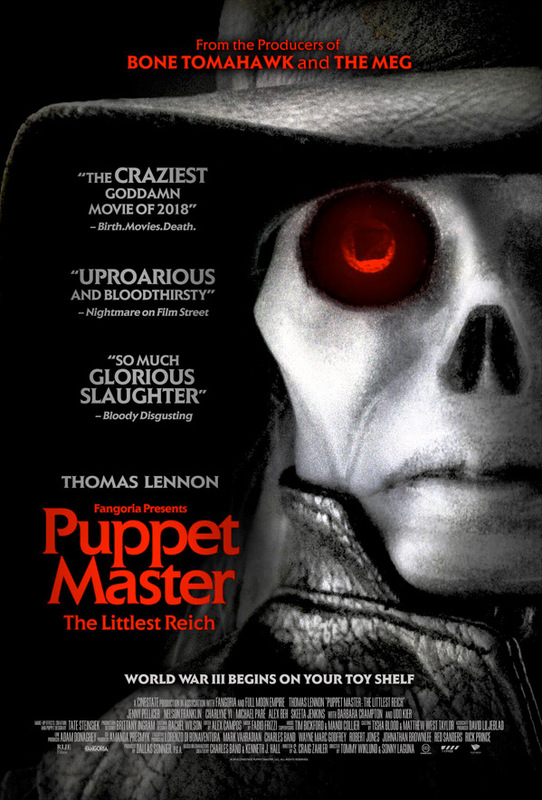 Cinestate will release Puppet Master: The Littlest Reich in select US theaters + on VOD starting August 17th. Interested?